A vast majority of today’s small- and medium-caliber (and even some large-caliber) handguns are ideally suited for concealed carry in a trouser pocket, but lest we forget, back in the early 20th century, pocket pistols were often carried in a jacket or overcoat pocket, and there is nothing to say that one cannot do the same today! Traditional styles remain the core of concealed carry, and there are a significant number of what some refer to as “old style” revolvers and steel-framed semi-autos. 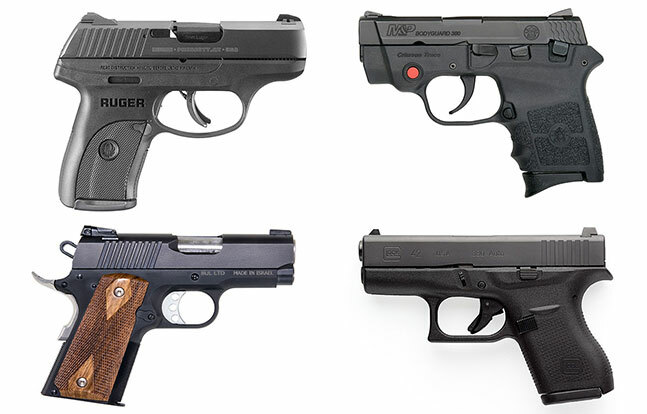 As a result, many people prefer conventional handguns with a proven track record from traditional manufacturers. 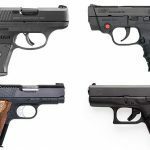 The pocket pistol pendulum also swings broadly toward new technology, combining polymer frames, lightweight alloys and steel to produce handguns that are lighter, smaller and more powerful than their size would suggest. Designs that have used a combination of polymer and steel parts have allowed manufacturers to scale down .380 ACP, 9mm, .40 S&W and .45 ACP handguns to sizes that were once theoretically impossible. No matter what your personal preference, you should be able to find a handgun in this expansive listing that suits your needs, even if you don’t put it in your pocket! Caliber:.38, .357, .45 Colt/.410 ga. Check out a video review of the Nano here. Check out a review of the Thunder .380 Combat here. Check out a review of the XR9-L here. Check out a review of the Magnum Pug here. Check out a review of the Bulldog here. Check out Massad Ayoob’s review of the Defender here. Check out Massad Ayoob’s review of the Mustang XSP here. Check out a review of the New Agent SA w/ Crimson Trace here. Check out a review of the DB380 here. Check out a review of the DB9 here. Caliber: .38 Special, 357 Mag. Check out a review of the Glock 42 here. Check out Massad Ayoob’s review of the Glock 26 Gen4 here. Check out a gun test video of the 30S here. Check out a review of the CM9 here. Check out a review of the CM45 here. Check out a review of the P-32 here. Check out a review of the Micro CDP here. Check out a review of the Kimber Ultra CDP II here. Check out a review of the Desert Eagle 1911U here. Check out a review of the Baby Desert Eagle II Compact here. Check out a review of the MAC 1911 Bobcut here. Check out a review of the NAA Guardian .32 here. Check out a review of the Guardian .380 here. Check out a review of the Executive Carry here. Check out a review of the Warthog here. Check out a review of the R9/R9s here. Get a first look at the LC9s Striker-fired here. Check out a review of the LCR .38 Special here. 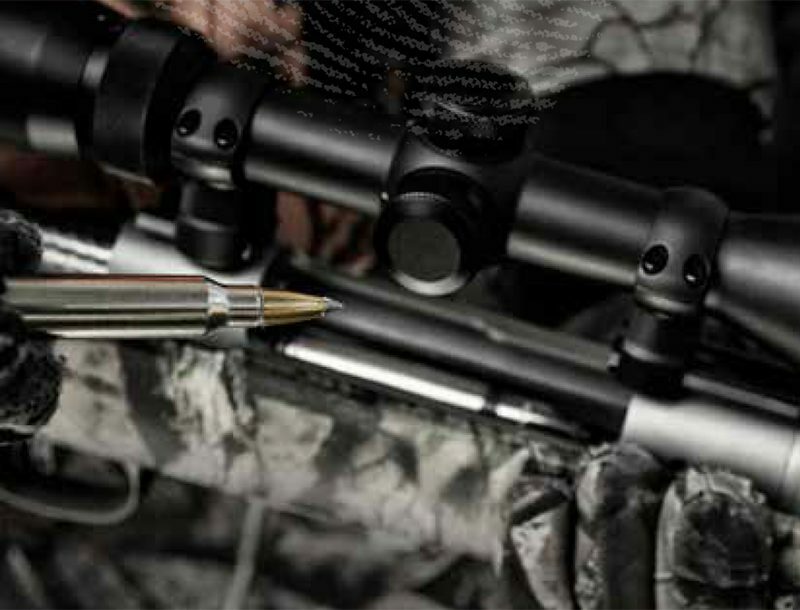 Check out a review of the LCR-22 Magnum here. Check out a review of the CPX-2 here. Click here to watch a video of the CXP-1 series. Check out a review of the P290RS here. Check out a review of the Sig Ultra Compact 1911 here. Check out a review of the Bodyguard 380 here. 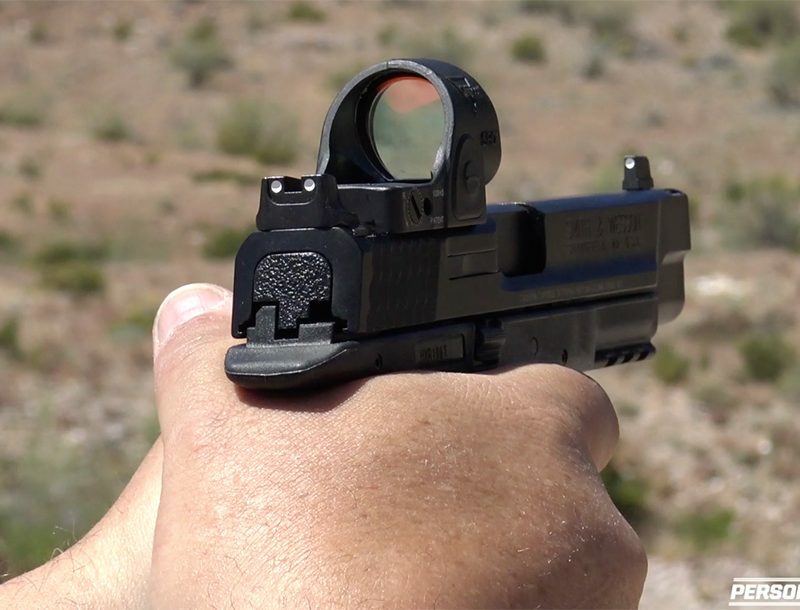 Check out Massad Ayoob’s review of the M&P Shield here. Check out a review of the S9-A1 here. Read a review of the S40-A1 here. Check out a review of the Taurus 85 View here. Check out a review for the taurus slim 709 here. Check out a review of the Walther CCP here. Check out a review of the Walther PPQ M2 here. Check out a review of the Walther PPX here. Check out a review of the X-Tac Compact here. 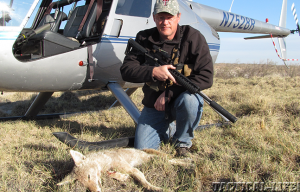 Blackout coyotes from the ground or the air with Advanced Armament’s new MPW carbine!